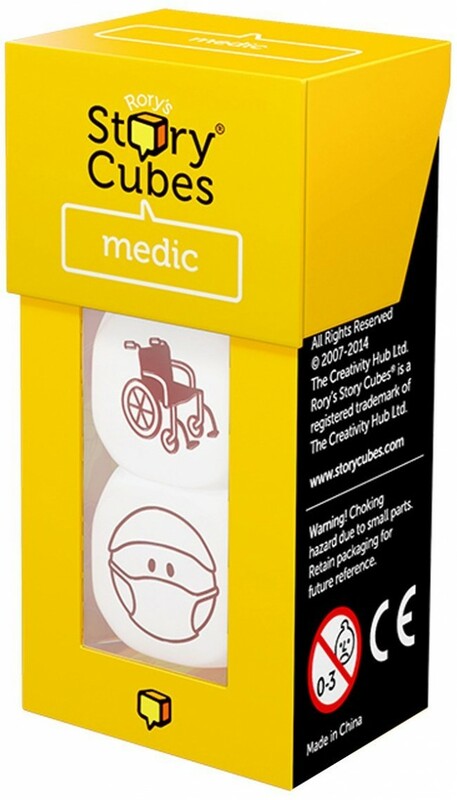 Add a heart-stopping element and tales of heroism to any anecdote with the Rory's Story Cubes Medic mix. Replace three cubes from Original Rory's Story Cubes with one of the new mix sets. Swapping a few images will totally transform the theme of the stories you tell, it's just like adding spice to a meal! This Medic set allows you to weave tales of the remedial and therapeutic!